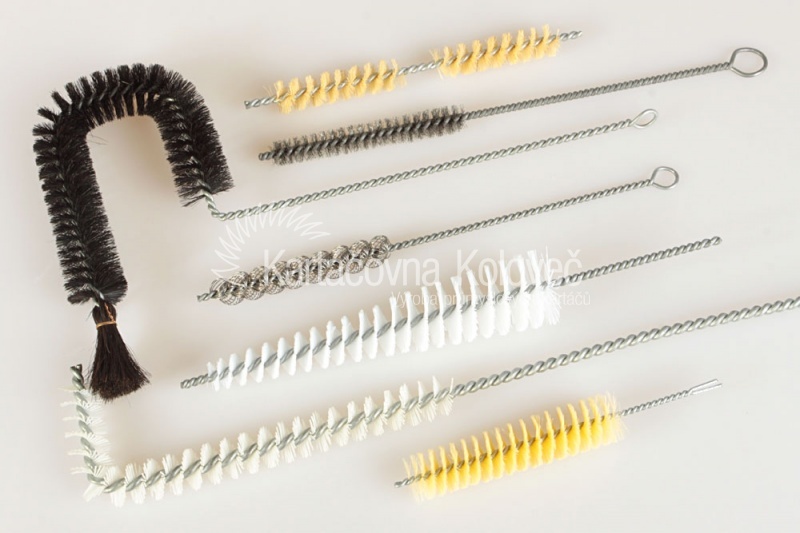 Twisted brushes are made in such a way that requested filament material is drawn between two twisted wires. The material is then cut to requested diameter. Twisted brushes, their filling, can be trimmed into different shapes – into a cone, a square, a semicircle. Or it is possible to bend them in different shapes. Depending on the purpose of use, we offer different types of the ending of the so-called head and holder of the brush, to match as much as possible to the brush requirements.